Every once in a while an app will be introduced that so thoroughly captures the essence of what a smart phone or tablet can achieve, that it will immediately change the way you use your device. Flipboard, the magazine style app, available on both iOS and Android systems, will so thoroughly revolutionize the way you receive the news that it will leave you wondering how you ever lived without it. Flipboard is a news app that gathers your social media and news feeds and converts them into a personalized magazine. The app will take your Facebook, Twitter and Instagram feeds, along with any news category you choose and present them in a gorgeous magazine style layout. The Flipboard app allows you to choose from your favorite news categories, such as sports, technology, business, film, science or virtually any other topic of interest. The app will then gather the top stories from various sites regarding each topic and present them in a magazine style layout. Flipboard is wonderfully designed, easy to navigate, and simply beautiful to look at. The app is available for both smart phones and tablets, but Flipboard is best experienced using a larger device. The whole purpose of a magazine style app is to have it feel like a magazine, and using a tablet will give you that experience. One of my favorite elements of the app is the ability to swipe your device to change the page. When the iPad was released a few years ago, there was talk that it would change the way we consumed magazines. Unfortunately, up until now, that has not been the case. Most magazines are just a scanned copy of the print version. But Flipboard has found a way to turn your simple news feed into a beautifully designed and engaging experience. The app will show you news stories in medium-sized thumbnails, and will then enlarge once you click on them. Flipboard will even allow you to go straight to the original website the article was published on. Overall, Flipboard is an engaging and well designed app and will completely change the way you receive your social media and news. It will probably find a permanent home on your smart phone or tablet and become indispensable for viewing news stories or social media updates. 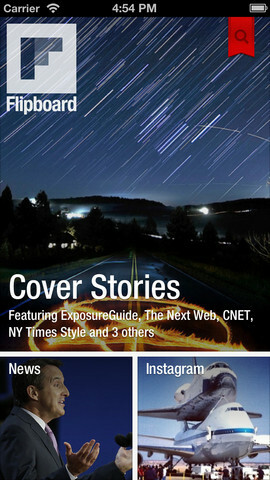 Flipboard is simply one of the best apps I have ever used. I cannot recommend it more highly. I would rate this app a 10/10. You no doubt have come across Twitter pages that capture your attention immediately you see them. Users, businesses and organizations can customize the feel and look of this important social network to not only reflect the company or business brand, but use it as a vital marketing tool. So, how do you turn your Twitter page from being just average to having a great-looking visual that accentuates your brand or personality? 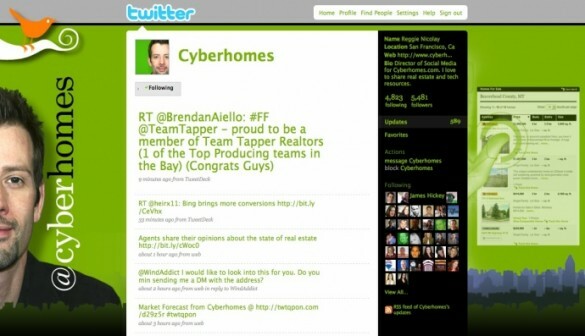 Themeleon is a tool that allows you to create customized and sleek Twitter profile pages. 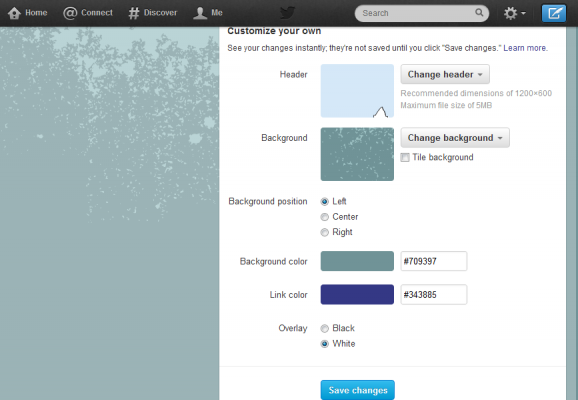 It’s the official Twitter profile design extension that resides directly under Twitter’s selection of themes. Themeleon has dozens of themes that can be browsed and previewed with just a single click. If you are not satisfied with what Themeleon has to offer on Twitter, you can browse their website and find dozens of additional layouts. Themeleon offers different ways of personalizing your backgrounds by adding patterns, images, colors and layout palettes, making it possible to come up with a sleek and entirely unique design from the patterns at hand. Plus, Themeleon has a huge creative community that continues to grow, which means more and more color palettes and seamless patterns are becoming available. After signing up for the service, you automatically become part of the community and have access to everything. From here, you can create a palette, choose a member-created pattern palette and color it the way you want with your own spin to it. Using the Seamless Lite pattern maker, you can design your very own tiling pattern templates with a simple drag and drop. What’s even more interesting is the fact that you can make it publicly available to the community and allow members to help you create your pattern templates. Whether you are looking to make a sleek, clean Twitter page to market your business or just looking to create a brightly-colored graphically-intensive representation of your personality, Themeleon can be your go-to solution. It was recently revealed that Facebook doesn’t have as many users as the official figures would suggest. Within the 955 million monthly active users the social networking site boasts are millions of bogus accounts, made up of duplicates, misclassifications, and undesirables. The thing is that although this “news” made it on to technology websites around the world, no one could have been surprised by the figures, and even less could have cared about them. Because it doesn’t really matter in the big scheme of things. 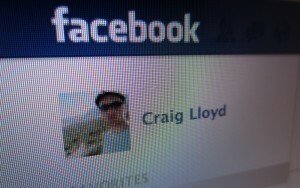 As Craig Lloyd previously noted, Facebook IS fast approaching 1 billion users, with 955 active on a monthly basis. This is up from the 901 million recorded in April, showing that despite a slowing in the rate of growth, Facebook is still expanding. We know the size of Facebook’s userbase thanks to the company’s quarterly filing (via Indystar) with the US Securities and Exchange Commission. With Facebook now being a public company we’ll be able to track its growth and other statistics more easily than was previously possible. Facebook is also now required by law to include in the filing any factor that could impinge on its future success. The idea being that shareholders need to be able to make more of an informed decision whether to hold on to or sell their shares in the company. Hence the revealing of an estimated 83 million bogus Facebook accounts. The 83 million is made up of: 45.84 million (4.8 percent) duplicates where one person has set up two or more personal accounts; 22.92 million (2.4 percent) miscategorized where a person has created an account for a pet, child, or organization rather than a page; 14.33 million (1.5 percent) undesirables dedicated to spamming or other improper use. I guess the news here is that Facebook itself is fessing up about the number of bogus accounts it has, but the manner in which the mainstream tech press lapped this up you’d think it was a shocking revelation. It isn’t at all. Everyone with even the slightest notion about how Facebook works knew its numbers were off, and that there is a sizable proportion of bogus accounts. Hell, I am myself responsible for one of them, having created a Facebook account for my cat. What can I say, I was bored and lonely. And really, who cares? Shareholders, of course, but then seeing as (at the time of writing) they’ve seen the value of their Facebook stock fall by 50 percent I’d say they have bigger concerns over Facebook’s future than the existence of some bogus accounts. To sum up, a significant percentage of Facebook is actually Fakebook, but it really doesn’t matter. Google+ has been with us for a year now, having been launched at the end of June 2011. Over the past 12 months it hasn’t exactly set the world alight. It’s nice enough, especially after the recent redesign, and some of its core features and functionality are better than those of the competition. But its biggest claim to fame so far is the influence it has had on its nemesis, the big bad, ubiquitous Facebook. These two social networks are locked in a battle of wills. Since Google+ launched, Facebook has nudged ever closer to boasting a user base of 1 billion people, and has finally gone public with its IPO. That didn’t go too well, but it still achieved its aim of becoming a public company worth tens of billions of dollars. Right now, Facebook bests Google+ in almost every department. The number of users, engagement levels, apps, games, photos shared, etc. Google is playing a severe game of catchup in the social networking arena, one that it’s not going to win easily and without pushing hard and fast into enemy territory. But there is one way in which Google+ could succeed. It’s a strategy that would at the very least start eating into Facebook’s huge lead built up over the past eight years. It’s all about integration. Google offers so many services that it’s often easy to forget how many of those services most of us use on a regular basis. From Search to Maps, from News to Docs, from Gmail to YouTube, Google has its tentacles spread far and wide across the web. Some of these services have already been integrated with Google+ to a degree, but that integration could be tighter across the board. I firmly believe that if Google does head down this route of aggressively and progressively integrating all of its other services into Google+, people will turn away from Facebook. It already feels as though people are looking for an alternative. Facebook is now too mainstream and too old in the tooth for the zeitgeist-seeking, internet-savvy youngsters, but Google+ has yet to tempt them away in any great number. After all of the other various free Google services are integrated into and inextricably linked with Google+, it will be a viable and valid alternative to Facebook — one which offers users the chance to choose the social network on which they can check their email and collaborate on Google Docs together all from one central locale. At that point in time Google would hold all the cards, and Facebook could be left facing an exodus of users fleeing for fresher social networking pastures. 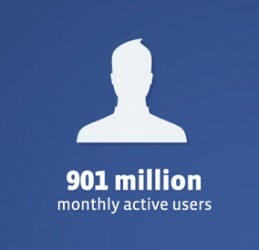 Facebook recently disclosed that they have 901 million users. Nine. Hundred. And. One. Million. They dropped this little statistic in their amended S-1 filing earlier this week, along with other small statistics such as that Facebook users post 3.2 billion comments per day and upload 300 million photos per day as well. They also lay claim that 125 billion friendships have been formed so far on Facebook and 526 million of the 901 million users (over half) were described as daily active users in March. If that doesn’t get your pot stirring, note that 488 million users used Facebook on their smartphone and/or tablet during March as well. Gregory Lyons, a senior analyst at iCrossing, predicted that Facebook would hit one billion users by August. Now that they have reached 900 million, one billion seems like a plausible number to hit by summer’s end. However, based on the most recent trends, I believe it might not be until October when we see Facebook hit one billion users. In February, Facebook said they had 845 million users when they filed their IPO paperwork. They now have just over 900 million. So in almost three months time, the social network gained over 50 million users. Based on this, it will take Facebook roughly six months to gain 100 million users and hit the one billion mark, which would be around October of this year. To give you an idea on just how massive Facebook is and to clarify their stance as the largest social network, Twitter (the 2nd-largest social network) currently has over 560 million users, but as of March, they say that only 140 million of those users are regularly active, compared to Facebook’s 526 million regularly active users. You can read Facebook’s amended S-1 filing in its entirety here, but be warned: it’s really long. Instagram, the incredibly popular free photo-sharing app, launched in October of 2010. Within the first week, the app had almost 200,000 users. That number jumped to 1.75 million in February 2011 and three months later there were 4 million people using the app. Of course, 4 million isn’t anything to write home about according to today’s standards, but it was certainly a respectable number. On April 10, Facebook acquired the San Francisco-based startup for a whopping $1 billion. At the time of the acquisition, Instagram’s iOS app has been downloaded over 30 million times. The Android app, which was recently released, saw over 5 million downloads in six days. One of the interesting tidbits of the acquisition is that a week before Facebook bought Instagram, the startup was valued at $500 million. So in a week’s time, the value of Instagram apparently doubled. The $1 billion price tag has definitely raised some eyebrows, and for good reason: The company is only 17 months old and has a measly 13 employees. They also haven’t generated any revenue whatsoever. Some people even compared Instagram’s worth to the New York Times, noting that the 116-year-old national newspaper company is worth less than a 17-month-old photo app. It’s also worth noting that, in the same year, Kodak filed for bankruptcy while Instagram gets bought for $1 billion; the times they are a changin’. Large Silicon Valley acquisitions aren’t uncommon, but it is indeed strange for such a small company to be offered ten figures. Then again, we kind of knew what Facebook was really acquiring: Instagram users — 30 million of them. The extremely large user base is what Facebook really wants (and I suppose the resources and features of the Instagram app don’t hurt either). In any case, the Facebook acquisition has not stopped the influx of new Instagram users, even though many current users are jumping ship now that the social-networking giant has a hold on the app. The iOS version hit the number one spot in the iTunes App Store for the first time ever this week. It’ll be interesting to see what Facebook does with the photo app. Will they leave it as is? 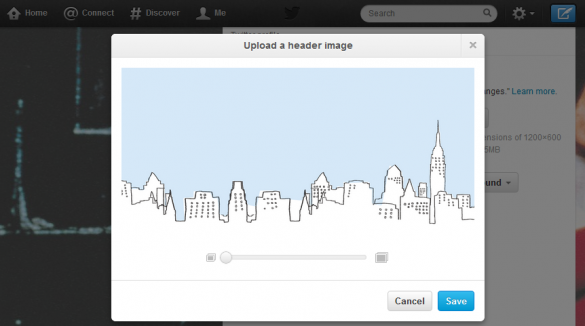 Will they use the visual-filter features on their own photo-sharing web interface? Will they completely shut it down like they did with Gowalla (probably not)? We’ll have to wait and see. The internet industry is abuzz with Twitter’s latest acquisition and hiring of Posterous and its employees. The details of the deal are shrouded in mystery; neither Twitter nor the Posterous team is willing to share how things will move on from this point onward. As a professional blogger, it is good to know that the acquisition does not mean deactivating the present Posterous services for its million users. Both the brands promise retaining the services, but for how long – no one can predict that either! What people are not discussing is the question: how will this acquisition change the way we, the bloggers, look at blogging and content sharing? In the last four years, Posterous built a formidable brand based on easy content development and sharing. 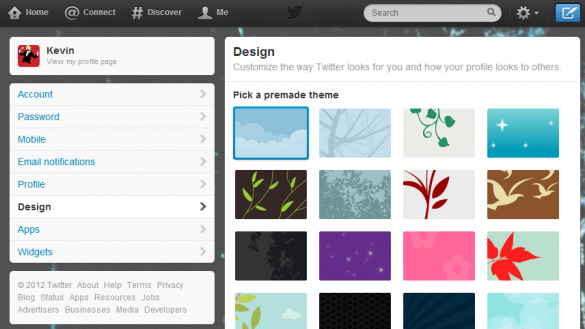 Undoubtedly, Twitter is going to utilize this product with its own tweeting services to enhance its user services. What about Bloggers and Marketers? 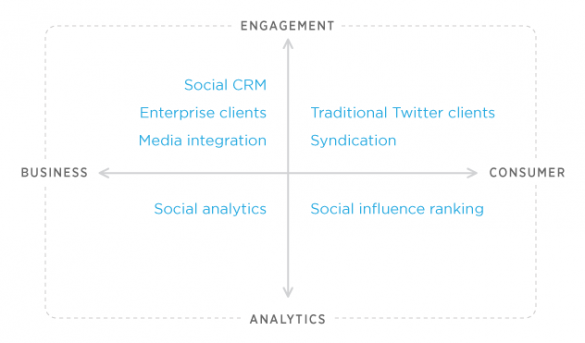 1) With the combined services of Twitter and Posterous, blogging acquires tremendous power. Not only will bloggers be able to create, post and share their content, they will utilize the Twitter platform to enhance social media popularity. 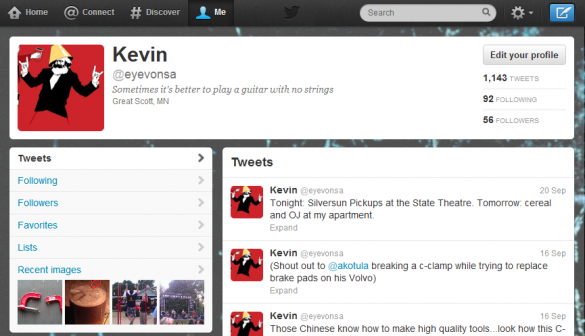 2) Perhaps Twitter acquired Posterous to build a unique news sharing platform with the help of its new #Discover tab. Won’t it be wonderful if Twitter users can use the #Discover tab to “discover” informative and unique blog content from their Twitter follower list? 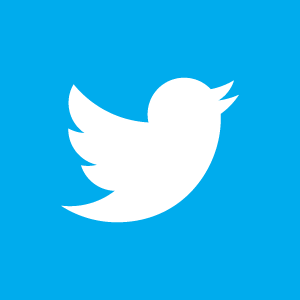 3) It is also a possibility that Twitter is planning to revamp its current brand image and might shift from the 140 characters criteria to include longer tweets. In many ways, tweeting content is restrictive. Posterous can change that. 4) Even though both Twitter and Posterous representatives announced that they have no plans to discontinue its present services, it will be good for Posterous Spaces bloggers to think about shifting their domain hosting to something else. The Posterous acquisition announcement clearly states that users will be notified way in advance if any major changes are to take place, which means something is up the anvil. Beware Posterous bloggers! Make sure to back up your blog daily. 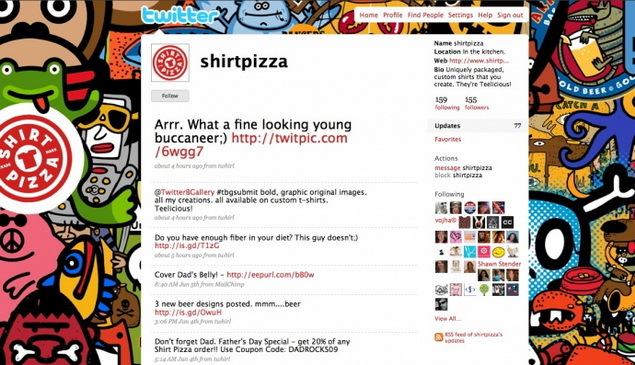 Industry experts have criticized Twitter for this acquisition. Its motto of “people and technology”, says the CEO of Tamar.com, Tanya Goodin, seems more like a “people” buyout than cutting edge technology. She further comments that with this acquisition, Twitter has laid its hand on some top Apple talent – a strategy to tightly compete and overcome competition from Apple. Others like Adrian Goodsell of Steak Digital see no point in acquiring Posterous when WordPress and Tumblr are way ahead in the blogging race; Jonny Rosemont of DBD Media believe this to be an acquisition of both “talent and technology” which can counteract the rise of Tumblr. The next few months are crucial. We can merely expect to draw the best out of this deal as users. Would you trade in your social media passwords for a job? The practice of employers looking up social media profiles of prospective employees is nothing new. It’s a great way to learn a lot about a person from the things that they choose to broadcast to the public. However, there comes a point where this all may go a little too far — specifically when a potential employee’s profile is set to private. Associated Press reports that some job seekers have been asked during the interview to hand over their Facebook passwords. Justin Bassett, a New York statistician, was asked to disclose his Facebook login credentials to the interviewer. Bassett withdrew his application. Others weren’t directly asked for their passwords, but they were asked to log in to their Facebook account so that the interviewer could have a peek. While most job candidates would decline to give out their passwords, there are some job seekers who are so desperate for a job, they have no choice but to hand over such information to the company. Surprisingly, this is all completely legal, but legislation is being proposed in Illinois and Maryland, with more states possibly joining in later. 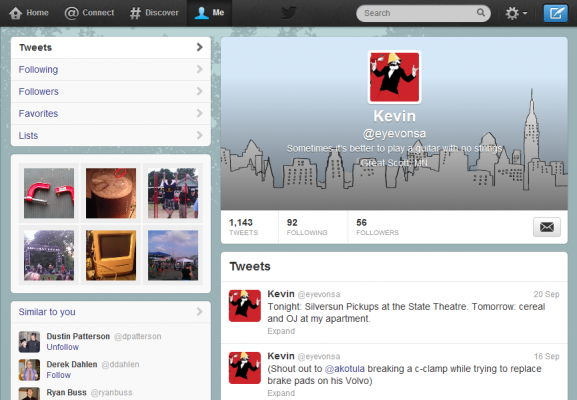 Personally, I have nothing to hide when it comes to my social media profiles. If an employer wants to look at my Facebook profile, they can do so, but I will never give my password away to anyone. However, I probably wouldn’t mind logging into my Facebook and letting them surf around for a bit while I at least watch (as long as they were just looking at my profile and not digging into my settings), although that does sound extremely juvenile and definitely says something about the maturity of the company. What about you? Would you let a potential employer have your password or at least log in for them so they can look around?